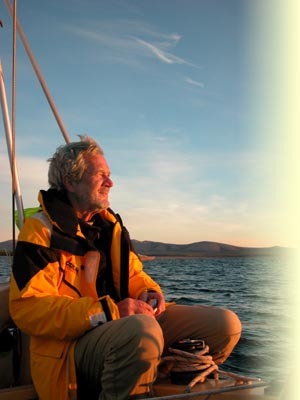 A lifetime of messing about in boats and a bad habit of serial boat building, starting with a canoe (which sailed sideways), an Enterprise dinghy (which often sailed upside down), fitting out an Elizabethan 31' hull ('Eroica'), a 40' steel Robert Clark hull ('Ultima Thule') & most recently a complete build of 'Norwegian Blue' a 42' steel Hywel Price design (1991-1995). Many years of family cruising and racing in these boats and in our Firebird catamaran 'Flying Circus' and our 47' trimaran 'John Willie'. 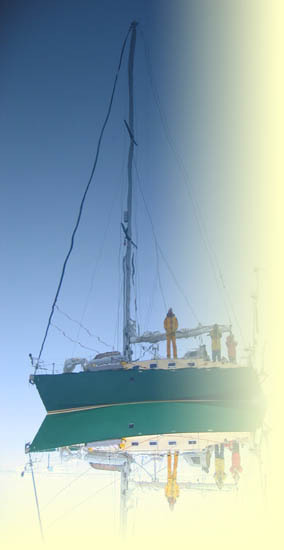 Southern Ocean and Antarctic voyage in 1990-1991 in 'Teake Hadewych' including Patagonia, Antarctic Peninsula & following in Shackleton's wake from Elephant island to South Georgia.